Our Birthlight prenatal yoga classes are suitable for all pregnant women from 14 weeks pregnancy on. No need for any experience or flexibility :-). We offer daily classes which you can attend whenever it suits you. 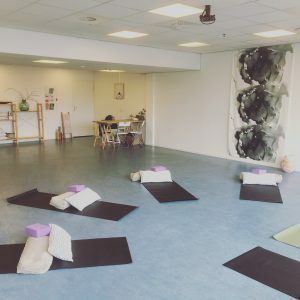 We have six yoga locations throughout Utrecht, so join us when and where-ever it suits you! Being pregnant is an intense and beautiful process in which your body changes in many ways as a result of the hormonal changes; both mentally and fysically. You are creating the space to make a baby! During this process, it is of utmost importance to take good care of yourself, but this is a challenge in itself as we modern women face many challenges: work, family and social life etc. To be in a good condition, both mentally and physically, is the best preparation for birth and the first time after. By practicing pre-natal yoga (pregnancy yoga) you stay fit and flexible, prevent complaints in the pelvic area, learn to cope with the changes in your body and you practically prepare for birth. What is more, it enables you to be in contact with your growing baby and have moments of consciously being pregnant. Stimulate your physical fitness, posture and mobility during pregnancy. Improve your body awareness and helps you to feel what your needs are at this moment. Improve, physical and mental power and resillience, trust and intuition. Relax body and mind and helps you to make space for you and your baby in your busy, daily life. Support the connection between you and your baby. Allow you to practice poses, movements and transitions which play an important role during birth, and keep you (and your pelvic area) save during pregnancy. Offer a space for questions and exchange with other mums-to-be. At studio Vandaan we follow the Birthlight method of pre-natal yoga, developed byFrancoise Freedman. These are soft yoga classes with attention for mom and baby and aim at caring for moms-to-be from the start of pregnancy. During our Birthlight prenatal yoga classes, which last for 75 min, we practice yogaposes that keep your body flexible and strong and the pelvic area safe. Moreover, we practice breathing techniques for relaxation and make you familiar with positions for labour & birth so chances are greater you will be using them at the time of labour. Our Birthlight pre-natal yoga classes are suitable for all pregnant women from 14 weeks pregnancy on. You do not need any experience or flexibility :-). We offer flexible classes, not a course which you have to attent weekly. Join us when and where it suits you. We recommend starting from 14 weeks on so you will be well prepared when te time arrives to have your baby. The classes take 75 min and we combine breathing exercises, yoga postures and movements with deep relaxation. There is time for practical questions and sharing experiences as well. 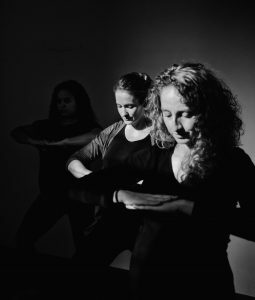 Flexible, daily classes in Utrecht: Join us when and where it suits you. Just register online and reserve your spot! Pay per class or buy a 5, 10 or 25 -session card. Are you ready to give birth? We offer two options to be well-prepared for birth. Generally the Birth Preps are taught in Dutch, yet mail us for options in English! We advise you to plan one of these options around your 35th week of pregnancy. 1. For you alone or with your partner: Birth Prep Mini-Course of 2 evening classes of 2 hrs in which we elaborately discuss the breathing techniques, positions for labour & birth and poses from Birthlight prenatal yoga. We also spend time to discuss the role of your partner or the person who is going to support you during birth. All practice is specifically focused towards giving birth in the most relaxed way possible no matter which circumstances you may find yourself in. 3. For you and your partner: Prenatal Partner Class. Learn in 2 hours everything about giving birth together as a team. We discuss the role of your partner during birth and repeat the most important breathing techniques, positions for labour & birth and poses from Birthlight prenatal yoga. Do you experience specific pelvic pain or pelvic (floor) issues? In these situations can a private class help you to be and stay safe during pregnancy and beyond. We offer classes in English with our wonderful teacher Anita, or with any of our other Dutch teachers. Price: € 60,00 – € 65,00 for 1 hr. Day and time are flexible. We also offer a private Prenatal Partner Class (2 hrs) for couples who would like to prepare for birth together in English and at their own home. We can adapt the class to your wishes and requests. Price: € 115,00 for a 2hr class. Day and time are flexible. Location: At the teacher’s or your home in Utrecht city.